(BGR) Leduc's Black Gold Professional Rodeo, beginning this evening (June 2), will be enjoying a Royal Visit by the reigning Rimbey Rodeo Princess, Lindsay Newman, as well as the current Miss Rodeo Canada, Samantha Stokes. 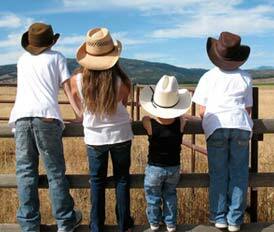 The delightful duo is going to be active participants in many rodeo activities with many opportunities to mingle with rodeo goers. Sweet Samantha, who was crowned winner of the Miss Grande Prairie Stompede 2014, had been named as Miss Rodeo Canada last November. The stunning Ms. Stokes will be making her first Black Gold Rodeo appearance at Saturday's annual Pancake Breakfast before taking part in the extremely popular Rodeo Parade which begins at 10:00AM. 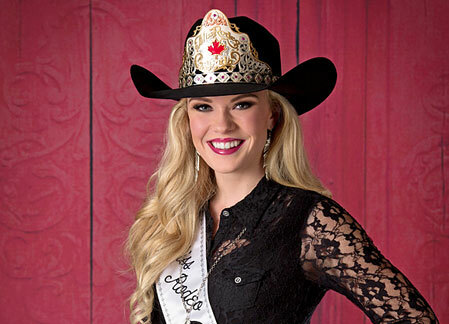 The Rodeo Canada Queen will follow that up with public appearances at the Trade Fair at about noon plus added opportunities to meet her at the rodeo events in the evening and the cabaret which follows the riding and roping events. Ms. Stokes will be also be meeting rodeo fans the following morning at the Rodeo Breakfast and will be mingling with the masses at the entertainment-filled Cowboy Church which gets underway at 10:30AM. Following another noon-time appearance at the Trade Fair, Samantha will be closing out the rodeo with an introduction during the day's Opening Ceremony at 2:00PM and will stay until the Cattle Removal following the events. Rimbey Royal, Princess Lindsay will also be making a full weekend of it starting with the Rodeo of Smiles on Friday morning, followed by a sponsor luncheon and then an appearance at the Trade Fair slated for 2:30 on the Main Stage. After that, young Lindsay will doing more mingling at the Toonie Barbecue at 4:00 and will help judge the Pet Parade at the Family Fun Night which has a 5:30 start. Lindsay will also be in attendance during the Friday nigh rodeo events and will be introduced at the Opening Ceremonies and has commited to staying up late for the ever-popular Dance in the Dirt on Friday night. Lindsay's Saturday will be equally hectic with the Pancake Breakfast which runs between 8:30 and 11:00, as well as another appearance at the Trade Fair slated for noon. Once more, Princess Lindsay will be introduced during the actual rodeo performances and will bee available to meet more rodeo fans at the cabaret following the riding events. Miss Rodeo Canada and Rimbey Royalty, Princess Lindsay Newman are just two more great reasons to attend the 2016 edition of the Black Gold Rodeo. It's the easiest way to be a winner with a pair of "Queens".